Dorling Kindersley are well known for producing good quality books, packed full of information that has been well researched and is presented in a fresh and beautiful way. So I was interested to see what the new addition to their portfolio the Home Brew Beer by Greg Hughes was like. The Home Brew Beer book by Greg Hughes was published in September and is an excellent example of what I would expect from a Dorling Kindersley book. It is beautifully put together, packed full of pictures and illustrations and generally looks the business. However, is it a book that is all style over substance or does it really deliver where it counts. Greg Hughes is well known on the British Home Brew scene having been a keen home brewer for many years. 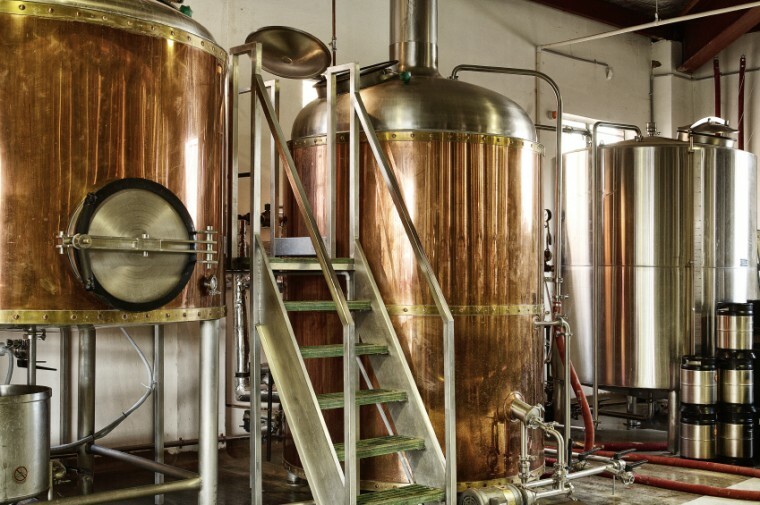 He is the co-owner and co-founder of Brew UK one of the UK’s leading online homebrew retailers, he is active in teaching people about home brewing and has organised many home brew competitions including the Great British Home Brew Challenge. So Greg Hughes is more than experienced to write a book on home brewing. 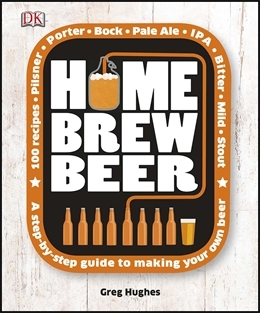 So what does the Home Brew Beer book have to offer? The home brew beer book is hardback and weighs in at 224 pages. However, for me the content can be summed up in that it is very much a book of two halves and this is where my only real gripe is with the Home Brew Beer book. I am not a big fan of home brew recipe books, there are a lot of them out there and let’s be honest they really only tend to duplicate the same old recipes. For me I like to be able to create a recipe for myself so when I look for home brewing books I am looking for books with more content on actual brewing technique and dare I say it a little more detail on the science of brewing. I have to admit I am a brewing nerd, I like the science and would like there to be a good quality, well presented book that puts across the science of brewing in an easily accessible format. A Dorling Kindersley book on home brew technique and science perhaps is more what I would be after. Sadly the Home Brew Beer book is not that book. The recipe part of the book runs to 137 pages whereas the reference section, detailing home brew equipment, tips and techniques accounts for only 57 pages. Don’t get me wrong the recipes are good, they are very detailed and they have all been checked by a commercial brewer so they should work. But I would suggest that the balance is wrong between recipes and techniques. The tips and techniques section itself is good, it is certainly aimed at the novice home brewer but there is enough detail to keep a relatively experienced home brewer reasonably happy. It is just a shame that there is not a little bit more detail. To sum up I would say that the Home Brew Beer book is definitely worth the investment if you are new to home brewing and want to pick up some general tips on how to get started and some basic brewing theory. It is also worth buying if you are looking for recipes because there is a whole raft of recipes from which to choose from. Furthermore the detail involved in the recipe section is very good and more comprehensive than a lot of more expensive brewing books that I have seen. However, if you like your home brewing books packed full of detail on the finer points of brewing technique then there are better books out there that would be more useful. That said I would give the Home Brew Beer book a 7/10 and recommend you give it a go. The book Home Brew Beer by Greg Hughes can be ordered through Amazon.